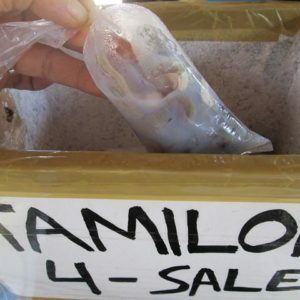 It is a necessity to buy Palawan Philippines products to counter the Kambak-kambak syndrome. Once you visit Palawan you are bound to come back again and again till you stay. To counter such syndrome kiss the ground once you enter the island and buy Palawan products. I did not kiss the ground so I’m stuck here in paradise island. Love it! First because I’m mostly vegetarian and Palawan, being the country’s last ecological frontier, created an atmosphere of environmental conservation and preservation thus laid the ground for health consciousness. With that organic farming thrives here. Every Wednesday we get a Happy Box of assorted organic veggies from Aloha House. 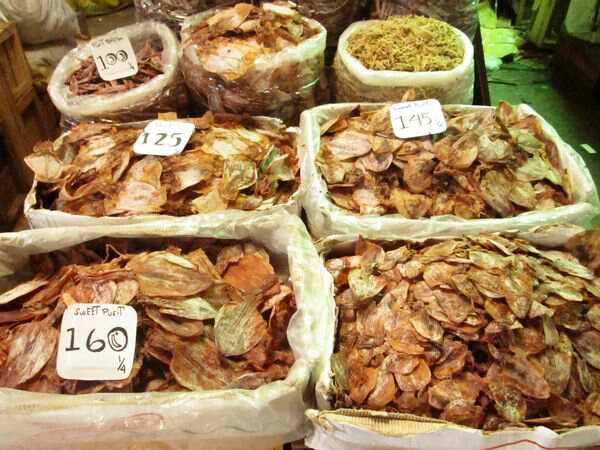 Greens, peppers, herbs, fruits and fruit vegetables worth P400. Aloha House also produces Yugort, Cheese, Soap, Virgin Coconut Oil, Wheat Bread, Corn Bread, Salsa, Cocojam, Bottled Ginger Ale… wait, hmm they have everything I need! For meat eaters, if you want your meat healthy, Aloha raises Free Range Chicken, and Eggs. 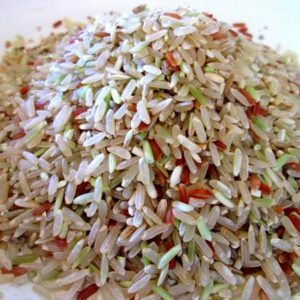 For Organic Products, I have my source of Organic Unpolished Rice (or brown rice. 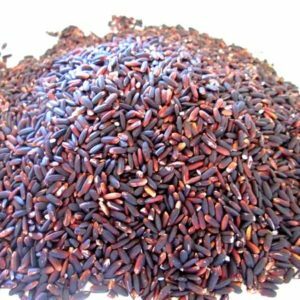 Although it can also be red, tan, pinkish, black, or purple depending on the rice variety). I get it from Palawan Center for Appropriate Technology, Inc. (PCART), and IDEAS. IDEAS also makes Rice Coffee and local teas. Teas are Sambong, Guyabano, Avocado, Pandan, and Tanglad. 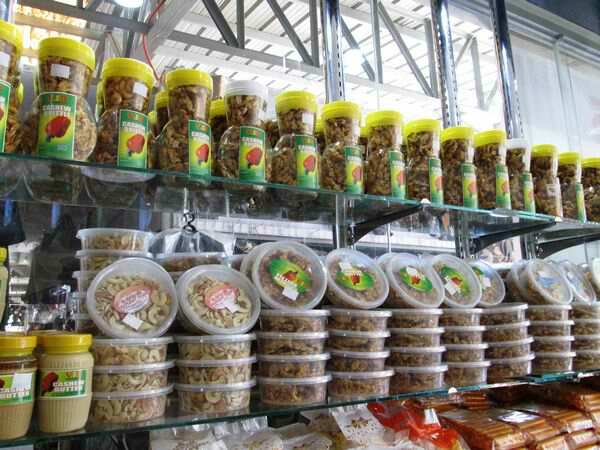 Palawan is also known for its Cashews or Kasoy. The way they roasted or baked it here, the nut still retains its milky texture. 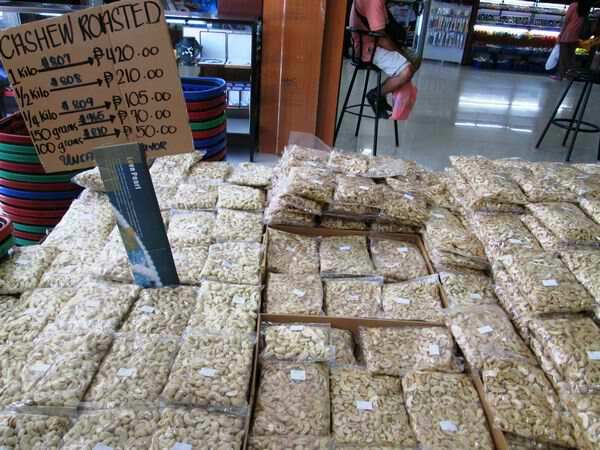 Compared to the Cagayan de Oro’s cashew, which is brown-baked. 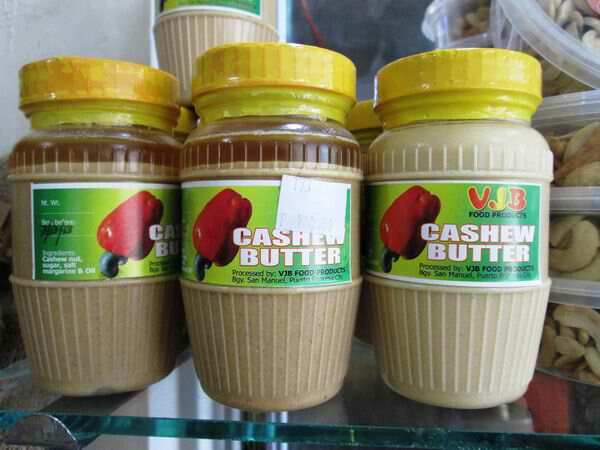 I can make cashew cream or cheese out of roasted Palawan cashew. Yummy! 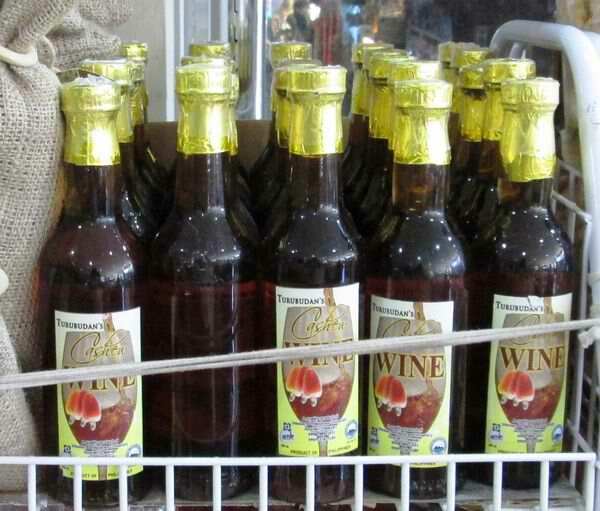 And Palawan Honey! Can’t complain anything about it. I like it direct from the wild, unprocessed. A tribal organization here gathers honey from the wild as part of their enterprise endeavors. 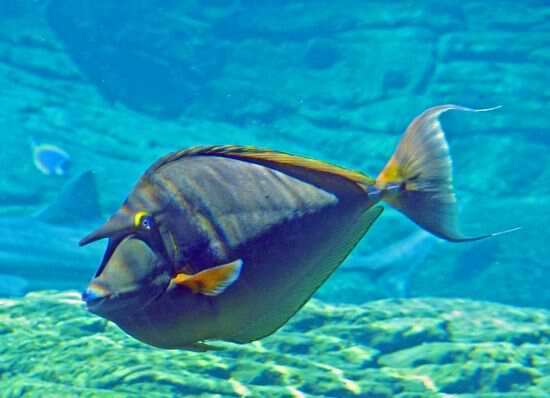 How about fish? 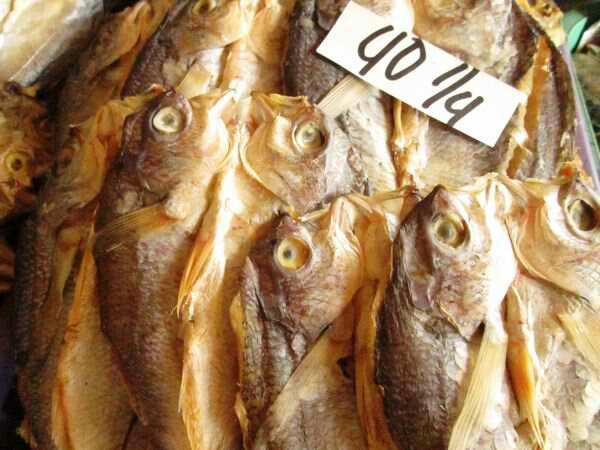 Yes I eat what’s bests in Palawan, its Sea Foods. 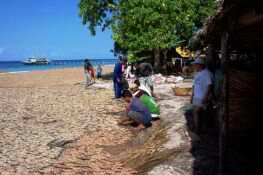 Specially the seaweed lato from Cuyo Island. 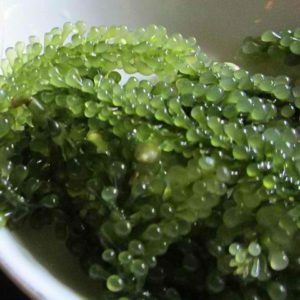 Seaweeds hold in itself the five kinds of veggies that have healing properties; leaves, seeds, fruit veggies, root crops, and sprouts. 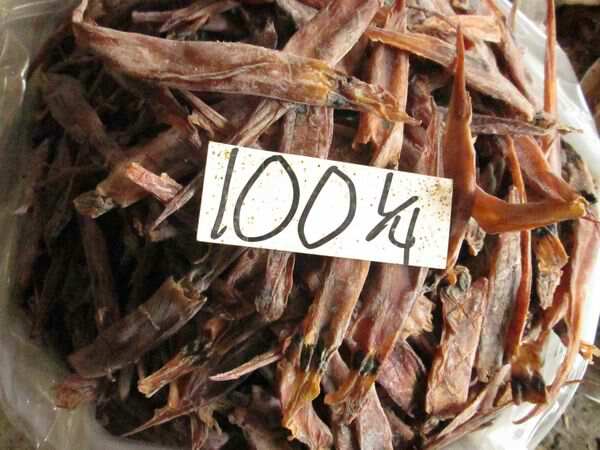 Or, you may want to challenge yourself to eat the notorious Palawan woodworm – Tamilok. 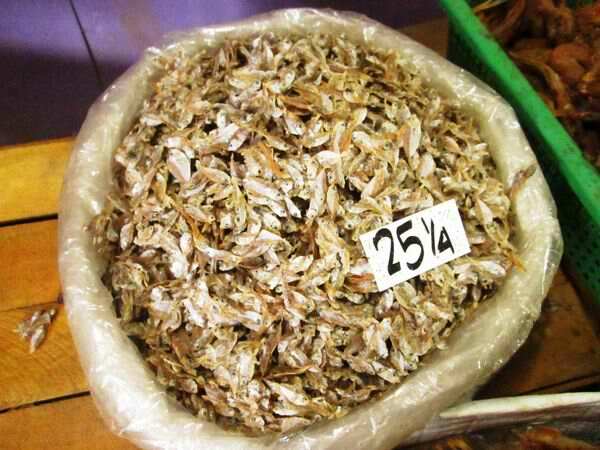 Palawan is also famous of its Dried Fish. 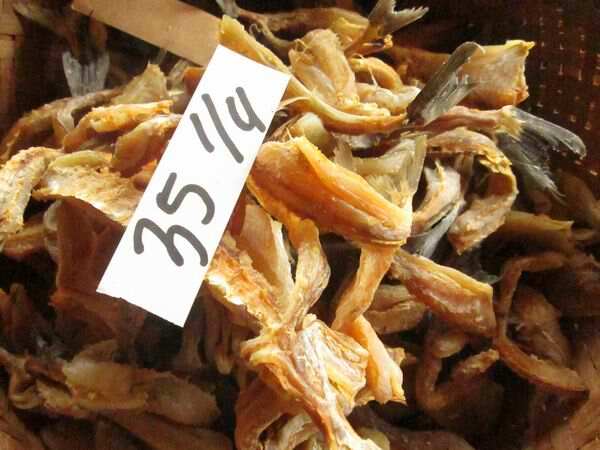 For local tourists, you can easily buy it from the wet market. The store attendants there already know how to pack it for you. The prices shown in the pictures change depending on the season. Those are mostly my products of Interest. 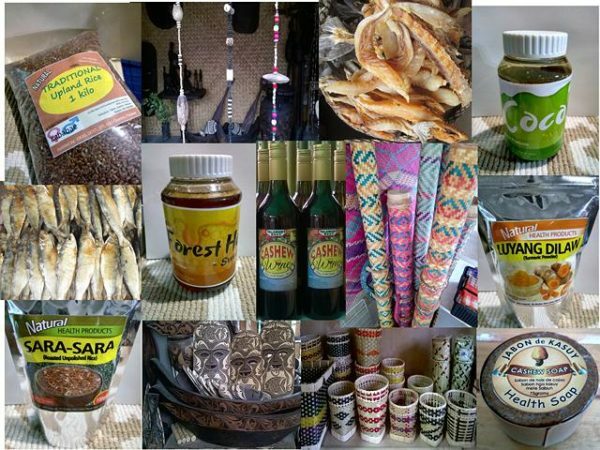 So what’s your most love Palawan Philippines Products? 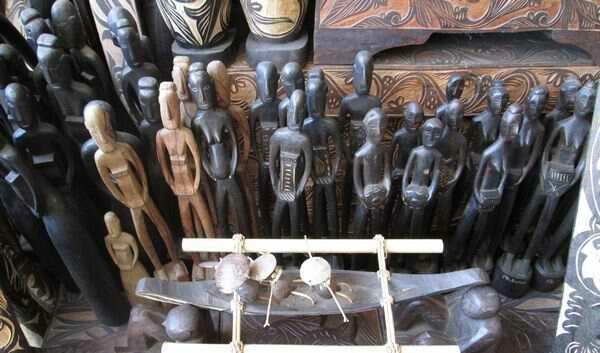 Discover Beautiful Handcrafted Palawan Wood Carvings by looking around our website! Aha! Native Crafts! Here’s one I like, the hard wood Wild Pig Figurine. It is actually functional because it’s a pipe for smoking. Though I don’t smoke, but I find it cute to see some friends sucking in smoke through the pig snout. I also like the Biday. It’s a rattan mat which can be use as blinds, wall decor, divider or a floor mat. 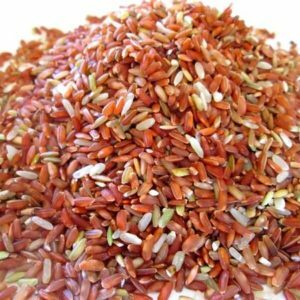 The Biday is one of NATRIPAL’s various native products. NATRIPAL stands for Nagkakaisang Tribo ng Palawan or United Tribal People of Palawan. Although the item is widely available in the souvenir shops it is nice to support the tribal communities. The Rain Maker or Rain Stick, although it’s not an original creation in the province, whoever started it here made some bucks. It’s a nice gift item or token. It comes from all sizes and carries in it different art works. Pearl Jewelry. 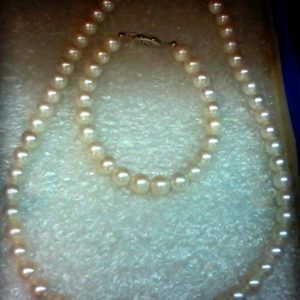 There are Pearl Culture Farms here but I do believe it is not produced for local jewelry making. 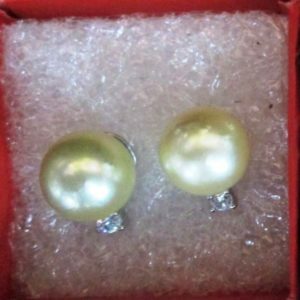 Although sometimes I see real South Sea pearl for sale. If your not very meticulous about this particular of Philippines products then focus on the design, craftsmanship and durability. 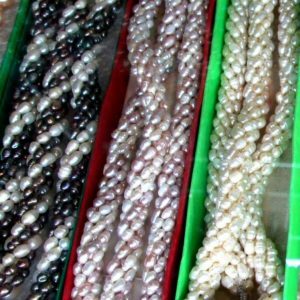 I once assisted a Jewelry Design Training given to a Cooperative of Pearl Jewelry Makers. Their pearl jewelries hold those three elements mentioned above. 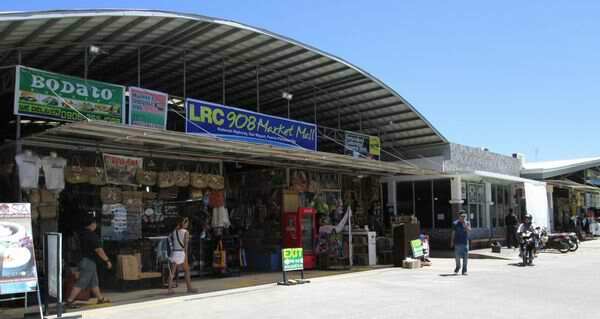 Since most Palawan tourists go through Puerto Princesa City there is a huge area for souvenir items located at San Miguel, along the National Highway. Every tricycle driver knows where it is. PASYAR Developmental Tourism, under PNNI’s (Palawan NGO Network, Inc.) promotion of Community-Based EcoTourism in Palawan. 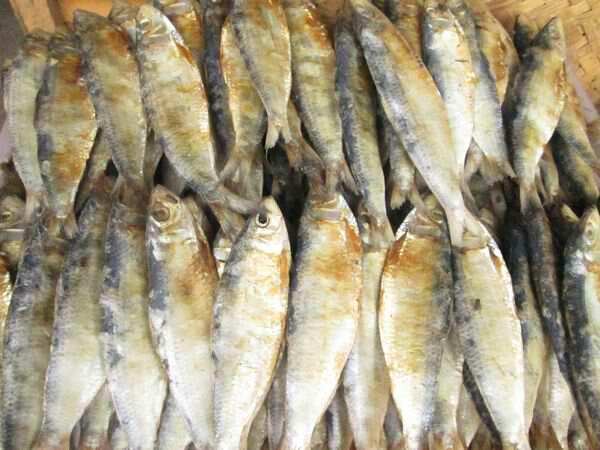 Bagong Silang Consumer’s Cooperative (BSCC) – The group is basically composed of Samal-Kabingaan Tribe of the Muslims.